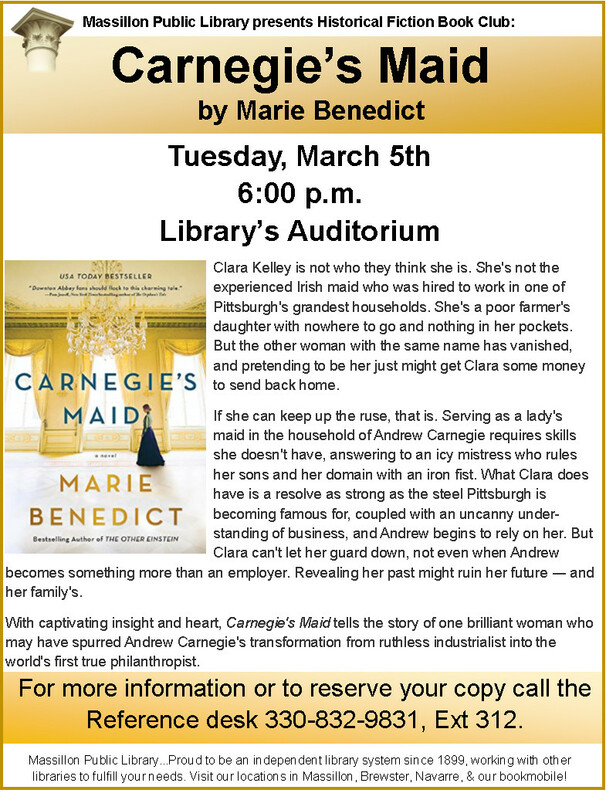 The Historical Fiction Book Club will discuss Carnegie's Maid by Marie Benedict. The Massillon Public Library’s Historical Fiction Book Club is free and open to the public. The library invites members of the community to read this book, then join others for an hour of relaxed discussion. For more information or to reserve your copy of the book, contact the Reference desk at 330-832-9831, ext. 312.